Wet floor signs are an essential tool for alerting your patrons where there is a wet floor. By warning your patrons with a wet floor sign, you help protect them from possible injury and help protect yourself legally. 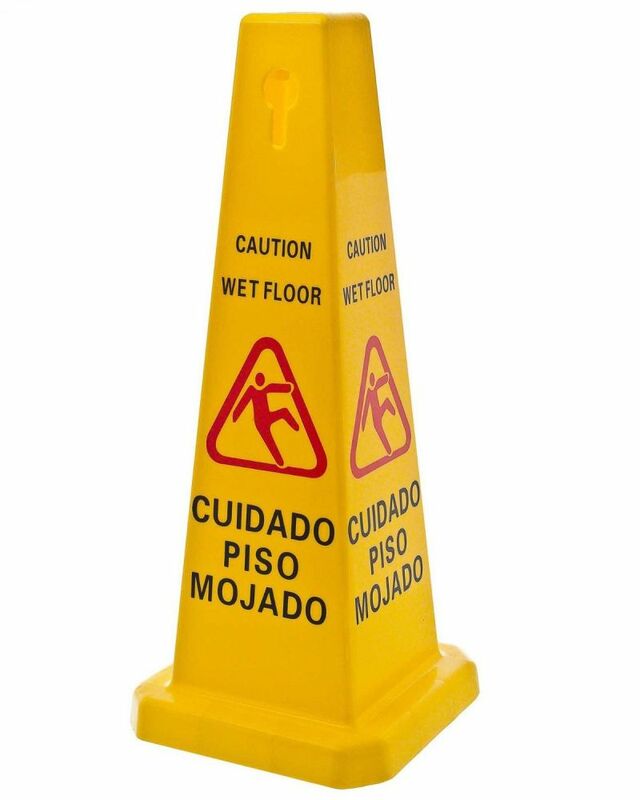 This product l is a classic cone-shaped wet floor sign that is 27 inches tall and easily noticeable. Additionally, this wet floor sign can be stacked to conserve space when storing. It is made from durable, heavy-duty plastic and is a bright yellow color to attract attention.